Afro-Semitic Experience: Pray, Sway, Love The Lord Just in time for Rosh Hashanah, "Adoshem, Adoshem, Part I" is a prayerful song that heads in unexpected directions. Just in time for Rosh Hashanah, Afro-Semitic Experience's "Adoshem, Adoshem, Part I" is a prayerful song that heads in unexpected directions. Song: "Adoshem, Adoshem, Part I"
"Adoshem, Adoshem, Part I" is not your zayde's prayer. A reinvention of this traditional High Holy Day appeal is featured on Further Definitions of the Days of Awe, on which the multicultural musicians of the Afro-Semitic Experience merge Jewish, African and African-American genres. The words of the prayer say exactly what you'd expect a High Holy Day prayer to express. They address the "gracious and compassionate" deity who forgives sins and grants pardon. "Adoshem" is a term used by pious Jews in place of the unspeakable name of God, combining "Adonai" (Hebrew for "my Lord") and "shem" (name). The start of the song sounds like a rehearsal — there are voices, piano riffs and drum beats, but you can't tell where the song is headed. Then, the musicians gather their strength and begin. At first, the song clings to its Jewish roots, courtesy of the warm-hearted, yearning cantorial voice of Jack Mendelsohn. Yet there's a different feel to this "Adoshem." The pianist's fingers roam restlessly over the keyboard with arpeggios, strike jazz- and blues-inflected chords, and play the stuttering notes of a gospel hymn — a reminder, perhaps, that sinners are stuck in their ways and need to find ways to stop sputtering and push forward. Then, the song does indeed push forward in ways that synagogue-goers have never heard. Percussionist Baba David Coleman, a Yoruba priest from Cuba, suggested the rhythm of a tango for "Adoshem." 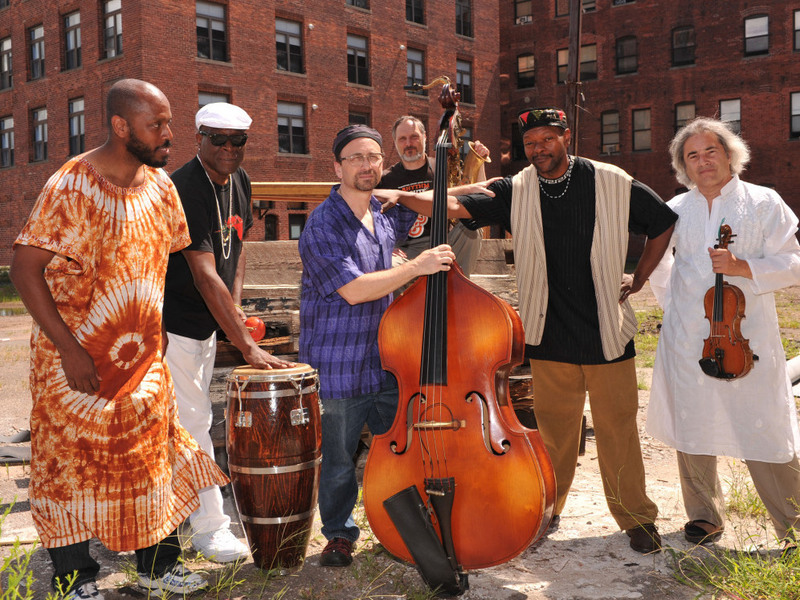 With that seductive beat, underlined by an insistent drummer and the melancholy thrum of a cello, the Afro-Semitic Experience creates a Latin expression of the Jewish habit of swaying, or shuckling, to connect the physical self to a higher power. Is this going too far? "Music, especially sacred music, is not static," bass player David Chevan says. "We don't do this in an ironic manner, but rather out of respect and joy."